Rutland Electric Fencing Company's Wet Cell Battery (DC) powered energisers are necessary for remote locations or areas without access to mains (AC) power and you need a larger output. All Rutland Electrical Fencing Company's battery powered energisers feature rugged, weather resistant cabinets, indicator lights that show the energiser is functioning properly, easy access terminals and mounting brackets for quick connections and installation and a two year guarentee. 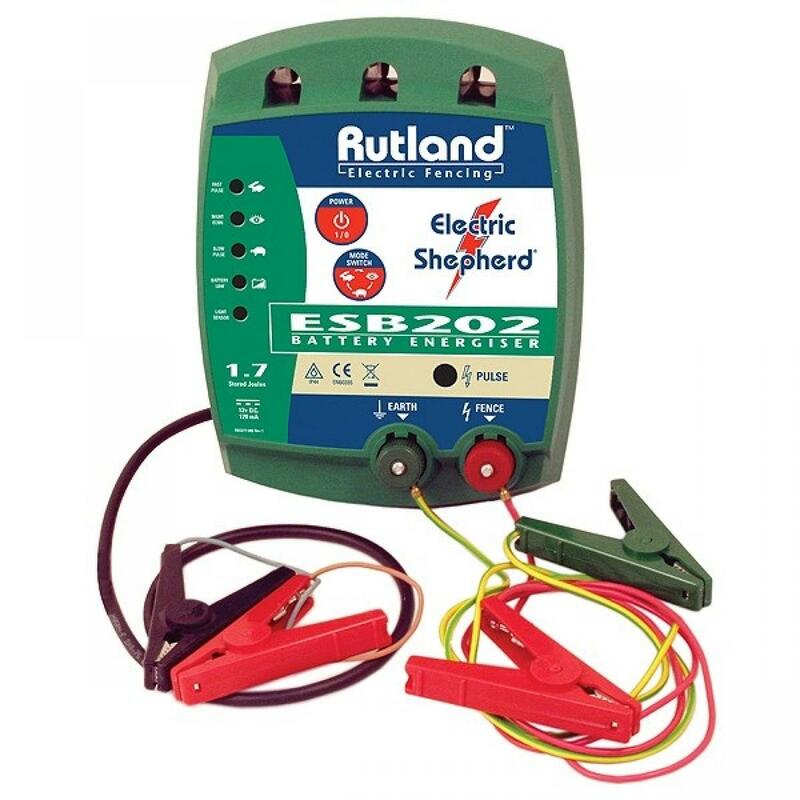 The ESB202 is ideal for strip grazing sheep on a reel system & electric netting. Recommend using an external 12 Volt 80 Ah leisure battery (not supplied). Has fast, slow & economy switch. Economy mode automatically slows the energiser down during the hours of darkness which extends the period between re-charges. Fence line & battery low indication.